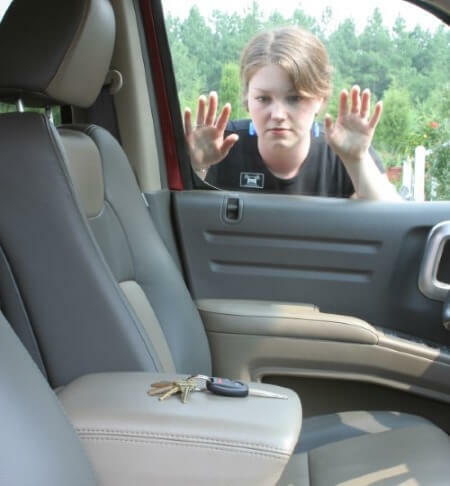 Bridgeport Lockout Service has spent years providing help to those with vehicle problems, and that includes accidentally locking yourself out of your own car. Whether your keys gone or they’re just sitting right inside on your car seat. We’ll get you back in your vehicle as quickly as possible. Our lockout service is available at all hours of the day and night. Wherever you are in and around Bridgeport, call us right away at 203-633-4351. The sooner you call, the sooner we’ll arrive. We won’t waste any time in getting your vehicle unlock and you back in the driver seat! In the meantime, please stay safe while you wait for us to arrive. If it’s dark, please go to a well lit and populated area and keep us updated on your location. If you feel unsafe and can’t leave the area, call the Bridgeport Police Department at 203-581-5100 right away and request a police officer’s presence. Our roadside service pro will arrive quickly and get started on getting you back in your vehicle where you belong. After hundreds of roadside services render, we are intimately familiar with the stress of car troubles, or being in a wreck can cause you and everyone else involve. Anyone who’s having these kinds of issues is having a bad day and we totally get that. That’s why our services are so expedite. We want to get you back on track so you can put this behind you as quickly as possible. Our experienced professionals are supremely qualified and equipped to get you back on the road again. Don’t waste any time in calling us about your situation. The sooner you call, the sooner we’ll arrive. We don’t have the reputation for fastest towing service in Bridgeport for nothing. In the meantime, you can try to relax knowing a professional service is on their way.